Right now most items from popular brand names are on sale at 25% off, but this promo code will get you 20% off of any full-priced item. Expires 4/7/2019. Apply promo code during checkout to save 10% off your entire order. Enter code at checkout to save 5% off sale items. Limited Time - promo code to take 10% off all regular priced items. Browse through and fine home items to take 10% off with code at checkout. Spend over $200 on GoPro, Canada Goose, Oor Suunto and get free 2 day shipping. Search through all our jackets styles and save up to 60% off. Arcteryx Sale: max 30% off. Save up to 30% off select Arcteryx gear - browse now. Free 2 day shipping on orders over $49. Spend more than $49 on your order and get free 2 day shipping. Earn 10% back on ALL of your purchases with membership and collection of Moosejaw Rewards Dollars. Sign up now and get early access to exclusive member only promotions to save more. Moosejaw is a brick and mortar retailer providing outdoor recreation gear and apparel for camping, hiking, snowboarding and rock climbing. Moosejaw was established in 1992 by two partners David Jaffe and Robert Wolfe. The two friends started their business by selling camping equipment instead of going for a tour guide opportunity. In 2007, a Dallas based private equity firm acquired a majority shareholding in Moosejaw under undisclosed terms. In 2009, Glencoe Capital acquired stakes in Moosejaw. Another private equity firm acquired stakes in the company in 2013, W Capital Partners. In February 2017, Walmart acquired the entire company in exchange of cash, totalling $51 million. Moosejaw began in the Midwest as a single store, today the company boasts of an 11-storefront chain with locations across the Americas. Today, Moosejaw is one of the leaders in the digital marketplace. The company devotes itself to the mountain lifestyle, the outdoors, individual needs, and the dedication to fulfil the needs of everyone looking for good experiences in nature. The company has moved from zero to success in a span of 17 years. 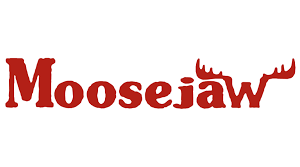 Go to Moosejaw.com. hover the mouse over the Moosejaw shopping cart icon. Click the ‘View Cart’ button. Identify coupons code box in the new window situated below your order items. Choose any coupon code from the presented collection and apply it to your cart. Moosejaw regularly features sales and codes on their official website homepage. You also get member-only offers from the homepage, rewards and discounts ranging from 10% off your purchase cart when you sign up for the Moosejaw email. Moosejaw also offers you free shipping on orders higher than $35. Moosejaw also offers free shipping on orders above $12. Orders above $49 are given free 2-day free shipping. Take advantage of the Moosejaw Rewards program, a free, tiered loyalty membership program where you earn 10% back on each order and another 2.5% back on the Reward Dollars sale items that you use to make purchases. As a member, you also earn early access to returns and free shipping, promotions, and yearly madness amongst others. Moosejaw has a robust return and exchange policy. The company gives you a return and exchange for a lifetime policy on items you have not worn and with original tags and packaging. The drones must be returned within 15 days of receipt and 30 days of other electronic items. If your purchase does not meet your demands, Moosejaw allows you to return the items for refund or exchange at any time provided the item is still in a sellable condition. This implies that your item should not be in a worn state, unwashed, devoid from any kind of tears, unknown smells, and stains. The item should also be in its original packaging with the manufacturer tags still intact. Items like rooftop tents and drones have to be returned within 15days of receiving the item to be considered for refund or exchange. If your return item is a boot or shoes, then Moosejaw requires that you also return the original box. Note that the shoe box is not the shipping box. The box should be in good condition since Moosejaw prefer recycling and reusing. It is therefore important to check the company meaning of ellable condition’ in order to qualify for a refund. Moosejaw does not accept items that are not in sellable condition for refund or exchange. This is because the items are damaged, and worn out. This is basically an indication that you already used the item. Other items that Moosejaw does not accept for refund or exchange include and not limited to food items, gift cards and load-bearing climbing equipment. Moosejaw credits the returns to your original payment method unless the item is received more than 60 days after the date of purchase. Moosejaw reimburses returns received after expiry of 60 days through eGift Card, that is sent through your order email. If your order has a Moosejaw Reward dollars, then the used part of the reward is credited to your Moosejaw account first and the balance is distributed to the original payment method.